Hello Dealsnloot Raeders,As a Scandid App user, you can avail Scandid Rewards for making a purchase from five retailers listed on Scandid App. 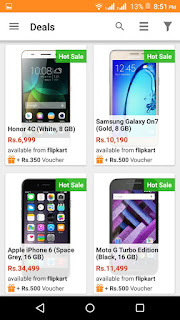 These retailers are- Flipkart, Snapdeal, Paytm, Amazon and ShopClues.Shop On This Sites Using Scandid App and Get unlimited Flipkart Gifts Card Rs. 350 to 500 on Millions of Products.So Grab This Loot Deals To Shop Using Scandid App. You Done.You Receive Your Scandid Reward (Gift Voucher) in 40 to 60 Days. This offer Product and Gift price Daily Change. Scandid will give a hint to a product from time to time and each loot will be valid for 24 hours. Scandid will give Rs.350 - 500 Scandid Reward when a user purchase that product. Rs.350 - 500 Scandid Reward would be explicitly mentioned on that product. 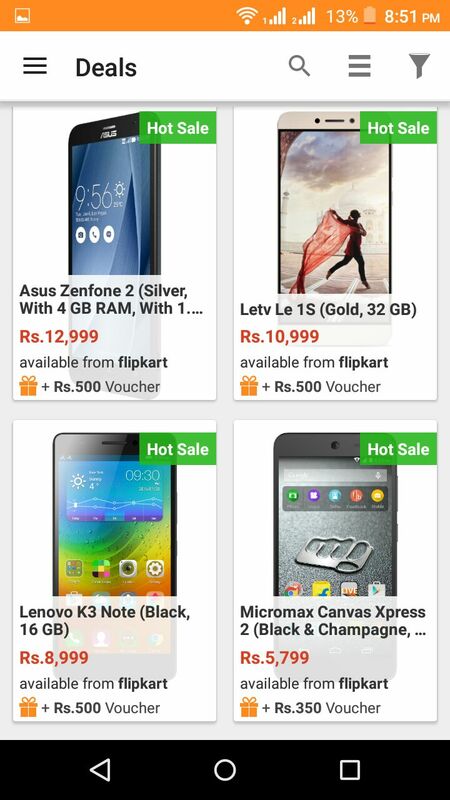 This offer is only valid if a user purchase the product from Flipkart only. Rs.350 - 500 Scandid reward would be credited to user's account in 60-90 days from the date of transaction. Standard Scandid Rewards Terms and Condition applies. Scandid Loot is available only on app version 5.8 and later. 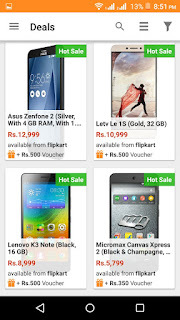 Users should update the app to redeem offers of Scandid Loot.